Frozen protein yogurt brand ProYo is set to debut new packaging and branding, as it seeks to boldly answer millennials’ demand for brands with vibrant personalities and convenient on-the-go packaging. The new-look features a hint to future innovation, with a sleek new trademark and logo that speaks to the company’s future by reducing the emphasis on the “yo” part of the name; ProYo has plans to expand beyond yogurt-based offerings and into new categories in the near future. 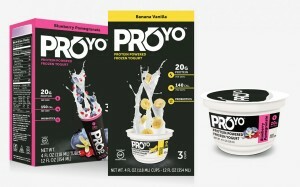 There is also a focus on ingredients: the new packaging is exceptionally clean and refreshing and emphasises the premium ingredients, taste, and dense nutrition that has made ProYo popular among shoppers, it said. ProYo’s protein-powered frozen yogurt is available in four flavours: Dutch chocolate, blueberry pomegranate, vanilla bean and banana vanilla. Made with cultured probiotic yogurt, each serving of ProYo yogurt delivers 20g of protein, a daily serving of probiotics, only 140 calories and 2g of fat, and a good source of fibre. All ingredients are also certified gluten-free, soy-free, non-GMO and diabetic-friendly. The frozen yogurt can now be purchased in three-pack cartons with a recommended sale price of $6.99, individual tubes for $2.49 and, soon, as a three-pack of single-serving cups with a recommended price of $6.99. 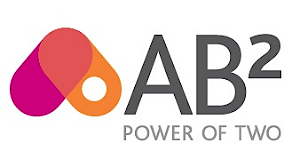 The single-serving tubes, which now feature the new logo and branding, are perfect on their own or as a base for a smoothie; while the single-serving cups, debuting at Expo West, are ideal for creating a breakfast bowl packed with protein, the brand said.